Escape-Central - NEWS: Escape wins BEST SMALL SUV Award !!! Escape-Central > ESCAPE TRIBUTE FORUMS > General Chat > NEWS: Escape wins BEST SMALL SUV Award !!! Posts: 341 And The Smart Money Winner Is . . .
A FEW YEARS AGO... the small SUV category barely existed. Today it's fiercely competitive, with a wide range of choices. But most people use small SUVs to hit the mall, not the mud, so we focused on five popular SUVs built on a car (not a truck) chassis, rating them on such factors as power, value, styling, ride, comfort and cargo space to select a SmartMoney Award winner. Ultimately... the Ford Escape and all of its competition in our best small SUV test (the Toyoto RAV, the Honda CRV, the Saturn VUE and the Hyundai Santa Fe) are about compromises � after all, by their very definition, crossover SUVs have to balance the right elements of both cars and sport-utes. With the smallest engine of this bunch, the RAV4 also is the lightest of these SUVs. It's sprightly from a stop but strains when passing on the highway or climbing hills. It also corners nimbly. The interior is uncluttered and attractive. Exterior styling has made great strides since the original jellybean-like RAV4, though it still looks rather �cute-ute.� While the low cargo floor makes loading easier, the tailgate that swings to the side, rather than up, is annoying in tight quarters. The rear seat's 50/50 split means that when you load long objects only one passenger can ride in the back. The vue is part of Saturn's new focus on making its products as compelling as its buying experience, but it's just not compelling enough. The VUE is also the first small SUV to offer electric (versus hydraulic) power steering, which is meant to make maneuvering easier. The effect, though, is just the opposite. Steering feels rather numb at low speeds and, combined with a large turning radius for a car this size, makes squeezing into a tight parking spot unexpectedly difficult. Aesthetically, Hyundai's SUV does have several good sides: Its curvy styling is pleasing (albeit not particularly SUV-like) from all angles except the front. Unfortunately, the oddly bulging headlamps bring to mind the flared nostrils of a pig. But the interior is attractive and the dash well laid out. And you get plenty of features for a low price. The downside: This SUV is a bit of a snooze to drive compared with the Ford Escape or RAV4. 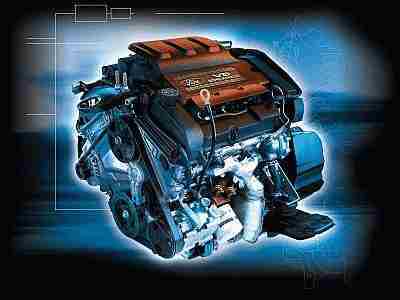 Even with the V-6, acceleration can be sluggish, since the Santa Fe weighs a portly 3,752 pounds. For all that the CR-V does right, the first impression when one slips into the driver's seat almost ruins it. The quirky layout of the controls, all in cheap-looking plastic, makes the car seem spartan. Besides the dash layout, I had a few other minor styling quibbles, such as the swing-out rear gate similar to the RAV4's (though it does have a flip-up rear windshield for loading small items). But on the upside, the CR-V offers some unique features that families with young children will appreciate, including a cargo floor that morphs into a removable picnic table and rear seats that slide forward and back to adjust cargo and leg room. Ford Escape... In this case Ford happens to strike just the right balance with its popular Escape. Like the other four reviewed here, it has full-time four-wheel drive (power is directed to the front wheels under most conditions, shifting to all four wheels only when the system detects slippage). But unlike the other four SUVs, it offers decent towing capacity (up to 3,500 pounds) and a four-wheel-drive lock mode, ideal for mud or ice. Plus... it actually looks the part of a rugged SUV. Considering that utility vehicles owe their popularity more to their sporty looks than to their actual off-road capabilities, it's surprising how many automakers opt for a softer station-wagon-on-steroids look for their crossovers. Not Ford. 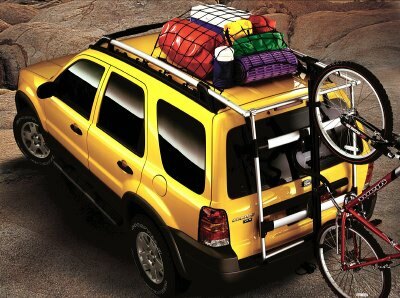 The Escape resembles the popular Explorer, albeit shrunken a bit. Inside, the theme continues; my test vehicle had the best interior of this group, with tan leather on the steering wheel and seats. The Escape also features the brawniest engine, a 3-liter V-6 that delivers a full 201 hp, by far the best in this group. And it's just as maneuverable and responsive as the rest of the crossovers, with tight steering and an independent suspension front and rear. Escape Sales ... HOT in September !!! 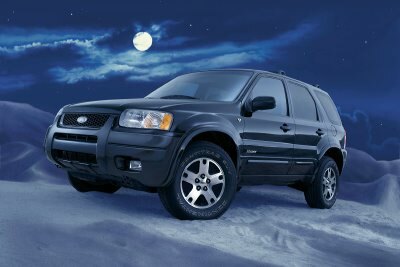 NEWS: Coming SOON - New 2005 Escape Design!! Congrats on 100 posts Whatsnew, what no nanners for you? Of course, we already knew that it was the best Small SUV Good to know that others feel the same. 2002 Chrome Yellow XLT V6 4x4 "TONKA"
I think it's the horsepower. I really liked everything about the Escapes that I have test driven, but the standout for me is the power. These things have great acceleration. I'm trying to wait for the 2004's to come out but It's getting frustrating waiting everytime I see another one on the road and all of these I just got my Escape posts! There are many things I prefer about the Escape to other small SUVs, but "appearance" and "power" are definitely the two most important qualities to me that it possesses. I looked at many of the so-called cute-utes during my presale research. I found a number to be downright ugly including the Hyundai Santa Fe and the Saturn VUE (although I think the Nissan Murano and Honda Element have a new standard for ugliness). I liked the appearance of the RAV4 and the Jeep Liberty, but lack of power and poor gas mileage, respectively, ruled them out. In the end, the Escape had just what I was looking for. Not too big, simple, truck good looks, and a V6 with decent gas mileage. Once I saw the XLT in Dark Shadow Grey in person, there was no turning back. There was one small problem with that study; they forgot to include the Tribute! The article title would have said �MAZDA TRIBUTE Wins Best Small SUV Award!" Options:Luxury Package,Cold Package,All-Weather Mats,Auto-Dimming mirror. Well I wouldn't mind owning a Tribute. I like the looks but the one negative is that the Mazda dealers in this area seem to be tougher about giving in on anything when it comes to pricing for the Tribs. I don't know if this is just because Ford dealers are gettting higher volumes or what but the Mazda dealers are kind of snobby. Mazda dealers are kind of snobby. Gotta love being upper class! My Son owns both a Mazda 600 and a Tribute. He finds the Mazda dealership STUPID! and ususally calls then Ford dealership to get the correct fix on his Tribute! The truth of the matter is, no version of the Escape or Tribute is intended for an "upper class" driver. They are squarely middle-class vehicles and the cater to a wide spectrum of the middle-class. The survey on incomes kind of proves that. The majority of owners were around 60,000 or less in income. Only a small minority were above that mark. 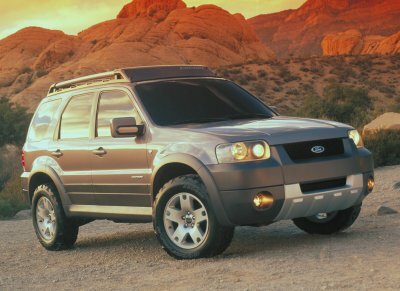 Until Lincoln or Landrover gets the Escape/Tribute platform, I don't believe any small SUV from Ford, Mazda or Mercury will be intended for the upper-class. If your intention is to suggest that the Tribute is more refined, I would say possibly in ride only. The Escape Limited provides a much more refined vehicle look inside and out. MI-Escape * Where do you Escape? Opinions expressed in this post are those of the individual expressing them, and should not be considered as absolute fact for any particular topic. The person submitting posts under this ID shall not be considered eminently qualified on any one subject or subjects. While this does not conclude that factual information cannot be obtained from these posts, this does mean that the information provided may not be complete, may contain inaccuracies, or may contain broad or vague references. In other words, an opinion may be contained herein. It is important to conduct your own research through resources available throughout the Internet. Please be mindful that this is an automobile site and any information obtain regarding non-automotive subjects should be checked, regardless of who is providing that information. The contents of this message may be subject to a Non-disclosure agreement. If you are not the intended recipient of this message, you may not disclose, print, copy or otherwise disseminate this information. If you have received this in error, please reply and notify the sender (only) and delete the message. Unauthorized interception of this post is a violation of federal criminal law. This communication does not reflect an intention by the sender to conduct a transaction or make any agreement by electronic means. Nothing contained in this message shall satisfy the requirements for a writing, and nothing contained herein shall constitute a contract or electronic signature under the Electronic Signatures in Global and National Commerce Act, any version of the Uniform Electronic Transactions Act or any other statute governing electronic transactions. "The Escape Limited provides a much more refined vehicle look inside and out"
If your intention is to suggest that the Tribute is more refined, I would say possibly in ride only. To the contrary, almost every authoritative automotive magazine that evaluated the Escape and its sister vehicle, the Tribute, preferred the Escape's ride, finding the Tribute's to be unduly harsh.